Admit it. As much as you don’t want to be the person that travels for great pictures, sometimes, it’s hard to fall for the social media trap and seek places so picturesque you know you’ve got to post it on Instagram. Hey, there’s nothing wrong with that as long as you don’t build your itinerary around the idea of taking a photograph for proof. Social Media Travelers. Ugh. The worst kind of travelers. If you can learn to balance the pursuit for amazing photos AND the true meaning of travel, then Rajasthan is definitely the place for you. Filled with more than just photogenic places, it’s a place filled with history and culture. Now if you’re up for both photos and actually immersing at the same time, here are Rajasthan’s most notable spots. Blue is a beautiful color. We lust after places like Santorini and Morocco, both popular with blue tones, but in the very state of Rajasthan, did you know that a blue city exists? 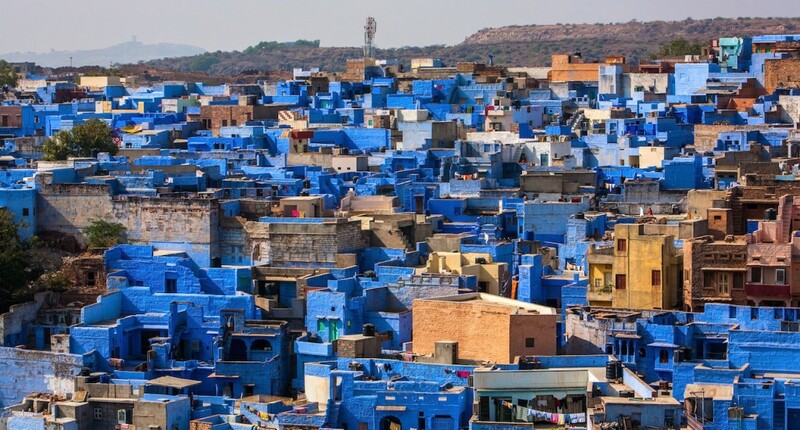 The city of Jodhpur is painted in a beautiful shade of blue that makes it stand out in the middle of the desert, making it absolutely worthy to be in this list. But besides its photogenic qualities, the city is a great gateway to small local villages that you can explore. As always, there’s so much more than what you see in a place. There’s blue, and then there’s pink. For the longest time, I’ve denied that my favorite color is pink. But who am I kidding. Jaipur is the ultimate reason I lust after India. The beautiful architecture highlighted in pink is as dreamy as it is, but it’s also the busy streets with vendors selling spices that makes it so quintessentially India. 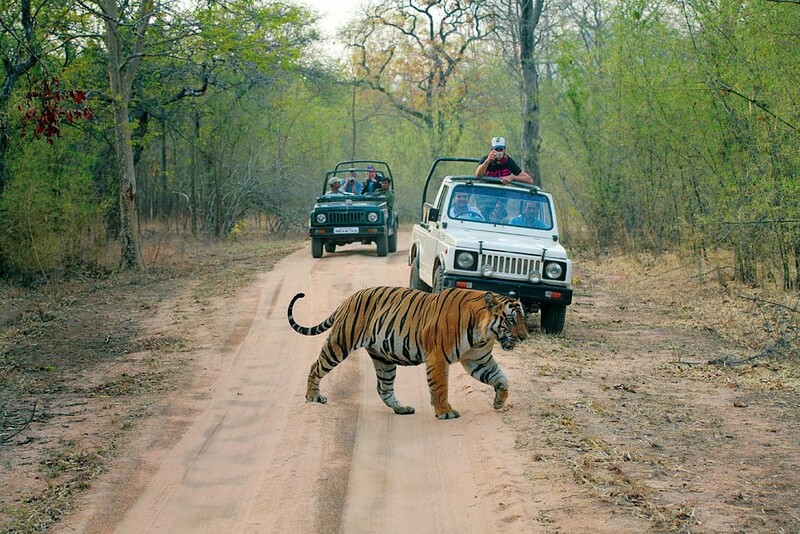 Beautiful to photograph and Ives you the full India experience, a complete win win situation! 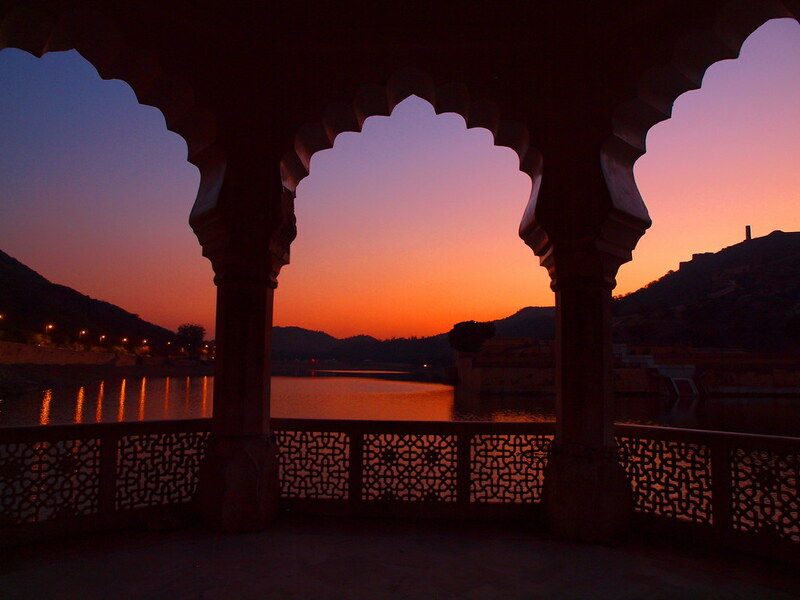 Also located in Jaipur, Amber Fort sits on a hilltop, offering a glorious view of the city. It’s quite a popular place to be photographed and I’m sure you’ve seen it in as its been popularized even more by Instagram. It’s also known for its view of magnificent Indian sunset in orange hues. They call it the Venice of India, but that’s not why it makes it on the list. It’s known to be India’s most romantic city, and with that said, there are plenty of corners you can photograph. It’s a place that you can easily fall in love with, and despite being considered “pretty”, it has plenty of culture to immerse yourself in. Two words: desert safari! Imagine you in the sand dunes sitting on a camel and riding through the sunset. Whether you document it or not, the experience will live on your mind forever. 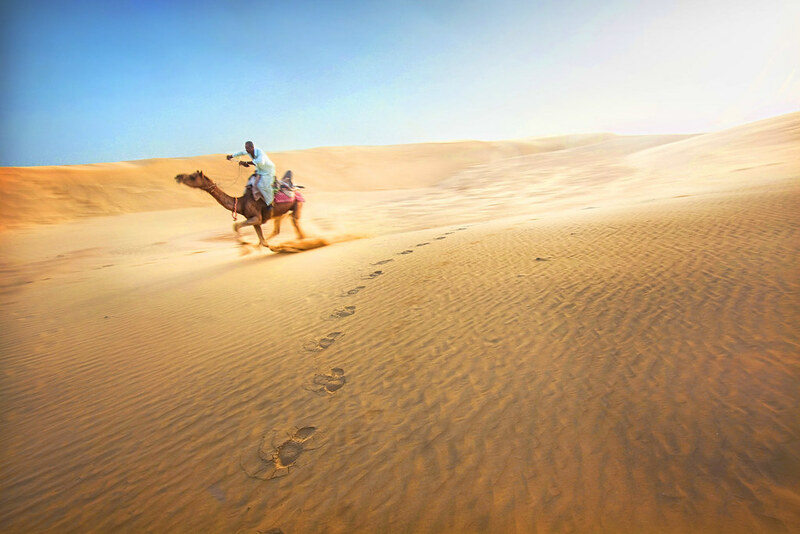 Jaisalmer is nicknamed as the Golden City, clearly taken by its gorgeous desert. The Jaisalmer Fort is also a popular stop for tourist. You’ll easily why– it’ll transcend you back in time. Technically, it’s the least Instagrammable place in this list. This isn’t a “sanctuary” with drugged up tigers. This is a place you’ll find the majestic bengal tigers in the wild. You’ll be able to snap a few pictures of them, but don’t expect to be posing next to them. But that’s how you want to experience animals– when they’re in their habitat. Raw and as natural as it is, whether you’re in it for the ‘gram or not, it’s a place that shouldn’t be skipped. 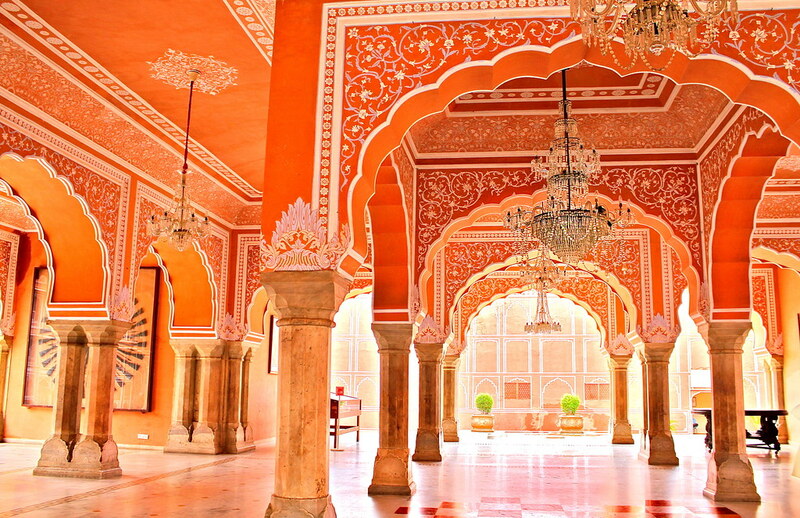 This beautiful architecture is in Jaipur but it deserves a spot of its own in this list. 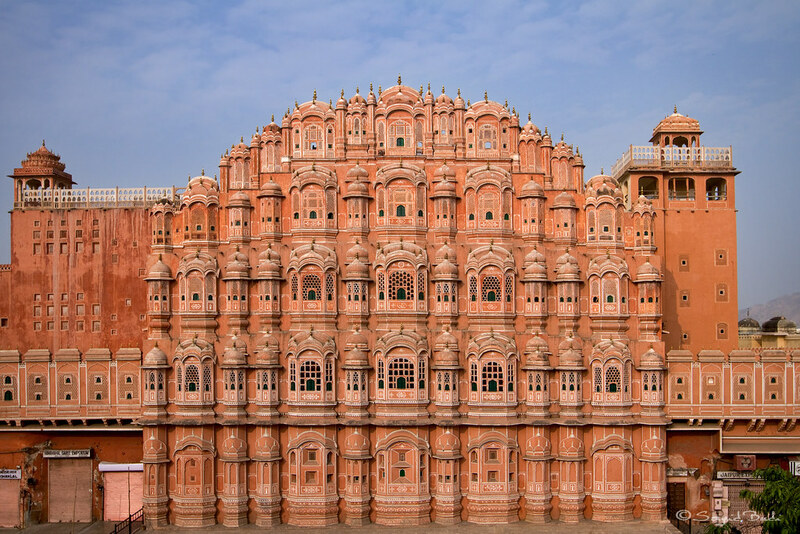 When I dream of India, I picture myself admiring Hawa Mahal, more than I fantasize about Taj Mahal. Though both are notable for its intricacies in design and architecture, there’s something about Hawa Mahal that fascinates me more. Perhaps its hue? Or the fact that it appears mysterious to me? Either way, I’m making a beeline here and I’m very much prepared to be astonished by its grandness. Rajasthan is a beautiful Indian destination that has it all— history, architecture, culture, food, and picture perfect sites. So many things to do, so little time. 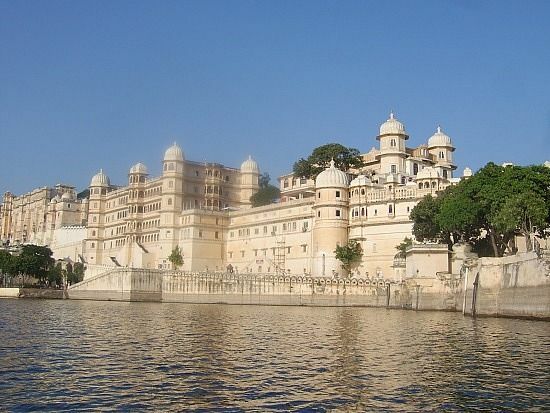 But with a variety of different Rajasthan Tour Packages that will suit your desires, try not to miss any of the ones I mentioned. See you India, very very soon. Disclaimer: This is a sponsored post that contains affiliate links. However, as always, I only recommend and write about things that I know will be great for my readers! Hey, you! If you loved this post, why not connect with me on Instagram too? I’m all about spreading travel inspiration one photo at a time so, see ya there? I’m also on Facebook and Twitter— come say hi!